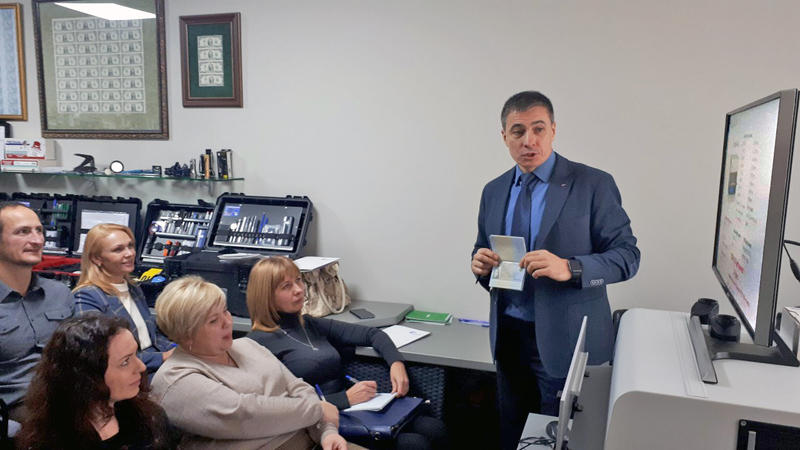 Regula together with Expert Systems Ltd. presented the company’s expert solutions for advanced document verification on November 29, 2018 in Kyiv, Ukraine. During the presentation, Regula representatives demonstrated one of the most cutting-edge solutions for forensic document examination – the video spectral comparator Regula 4307. Furthermore, the spectral luminescent magnifier Regula 4177 was also showcased. This device is a long-time favorite of various forensic departments, as well as law enforcement and border control agencies. The event gathered multiple experts from the National Bank of Ukraine, the Ministry of Internal Affairs of Ukraine, the Ministry of Justice of Ukraine and the Security Service of Ukraine.